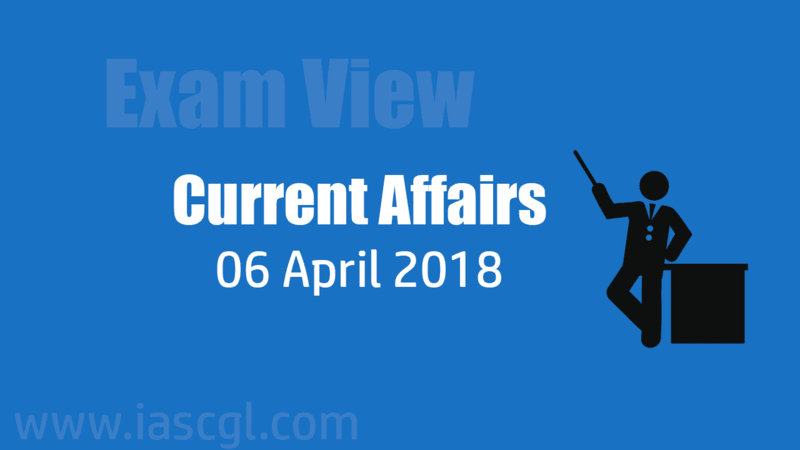 Current Affair of 06 April 2018, Exam View. The National Institutional Ranking Framework (NIRF) which works under the Ministry of Human Resource Development (HRD) department of the Government of India on recently released the list of top 10 universities in the country. NIRF was launched by Ministry of Human Resources Development (MoHRD) in 2016. This year for the first time medical and dental colleges were also ranked by the NIRF. NIRF has also added Architecture and Law this year. Dark Net is used for online secret work, i.e. working on internet by hiding IPs address of hardware. It said the dark net or the hidden online world "cannot be accessed" through traditional web searches and the buyers and sellers of narcotic drugs reach it through a special search engine called "The Onion Router (TOR)" to ensure that their identities remain concealed. TOR is an internet browser which allow a user to access blocked data by serving a connect over number of IPs. The trend raises concerns in terms of the potential of the dark net to attract new population of users by facilitating access to drugs, in a setting that, although illegal, allows users to avoid direct contact with criminals and law enforcement authorities. The area of internet where search engine like google, yahoo, bing, yendex are not allowed to index pages. Connection is peer to peer with other networks to make it hidden. The Wayanad Wildlife Sanctuary was formed in 1973, is a part of the Nilgiri Biosphere Reserve and also an Elephant Reserve. The sanctuary was carved out of two territorial divisions- Wayanad and Kozhikode. Last year, the first-ever vulture and raptor survey was conducted at the sanctuary.In which 24 species of raptors and two species of vultures were recorded. Under the National Social Assistance Programme Government is committed to extending direct transfers to over 30 million old age, widow and differently abled beneficiaries belonging to below poverty line families. The cash transfers being facilitated under the National Social Assistance Programme are an important subset of overall social security net including food security and health insurance extended by the Government to families facing deprivation. NSAP aims at ensuring minimum national standard for social assistance in addition to the benefits that states are currently providing or might provide in future. This scheme was brought within the umbrella of ‘Core of Core’ scheme in 2016. NSAP scheme presently comprises of : 1)Indira Gandhi National Old Age Pension Scheme (IGNOAPS) 2)Indira Gandhi National Widow Pension Scheme (IGNWPS) 3)Indira Gandhi National Disability Pension Scheme (IGNDPS) 4)National Family Benefit Scheme (NFBS) 5)Annapurna Scheme. 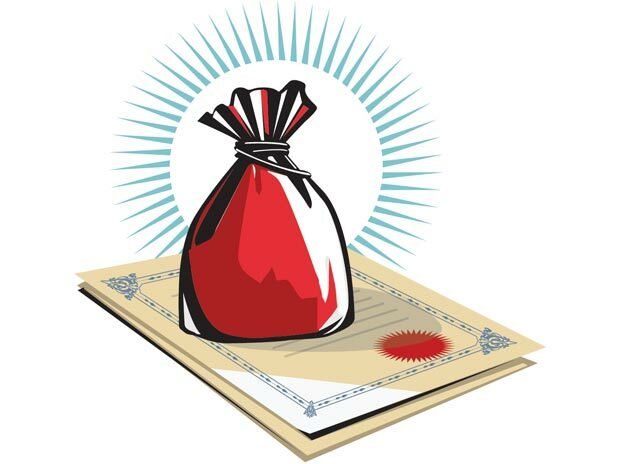 The period(FY14-FY18) also saw a jump in government borrowing from the provident fund, from Rs 97.5 billion in FY14 to Rs 140 billion in FY18. The ‘Internet Security Threat Report’ was recently released by security solutions provider Symantec. 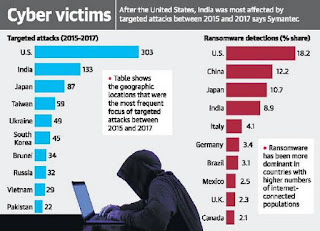 According to the report, India emerged as the third most vulnerable country in terms of risk of cyber threats, such as malware, spam and ransomware, in 2017. India continues to be 2nd most impacted by spam and bots, 3rd most impacted by network attacks, and 4th most impacted by ransomware. Cyber criminals are rapidly adding “cryptojacking” to their arsenal as the ransomware market becomes overpriced and overcrowded. Through the Indian Sports Authority (ISA), Government of India is going to implemented Special Area Games-SAG scheme to identify sports talent in the age group of 10-18 years from the tribal, backward and hilly areas of the country. This scheme also helps in exploiting the capabilities of genetic or geographically profitable communities for excellence in indigenous sports and martial arts and any particular sports discipline. Under the SAG scheme financial assistance is provided in the form of expert coaches, sports equipment, boarding and lodging, sports kit, competition exposure, educational expenditure, medical / insurance and stepped as per the approved standards of the scheme. There are currently 20 special area sports centers in the country, where 2167 talented players (1189 boys and 978 girls) are being trained. NASA's Hubble Space Telescope has discovered the most distant star. It has been officially named MACS J1149 +2223 Lensed Star 1. But the researchers have mercifully given it the nickname Icarus. It is located approximately 9.3 billion years away from Earth, but the location of this star has been determined through gravitational lensing. Microcoloring is a celestial phenomenon that uses curved light by gravity to detect planets. According to researchers, this star is twice as hot as our sun and is more than one million times shiny. It is located in a spiral galaxy. PLEASE PROVIDE LINK TO DOWNLOAD "THE HINDU " IN PDF.